The conversion to Christianity is considered one of the most important turning points in Scandinavian history, but tracking the religion’s progression through the north is a tricky task that must be studied delicately using certain methods ascribed to by scholars like Alexandra Sanmark. The main ways by which Christianity is measured are grave and burial customs, church sites, coins, rune stones, written sources and laws. Using these methods, the Christianization of Scandinavia can, to an extent, be measured in degrees of belief, attitudes, values, behavior, and social institutions (Sanmark 2004). However, the conversion can be only nominally traced throughout Scandinavian history. When attempting to measure how “Christian” a country or kingdom was, the results can be murky if not entirely misleading (Shepherd 1996). In order to better understand and follow the conversion process, Sanmark breaks it down into two phases (2004). The first phase consists of the scattered network of independent missionary efforts while the second phase begins when the secular rulers take over the spread of Christianity (Sanmark 2004). Applying the aforementioned methods to both phases of the conversion unearths evidence, and in many cases a lack of evidence or consistency, that dismisses any certainty that Christianity can be measured. Contrary to popular belief, the conversion of the Scandinavian kingdoms was relatively peaceful, especially during the second phase (Sanmark 2004). Aside from Norway, the rest of the Viking world converted if not willingly, then mostly, without bloodshed from either an internal decision or at the behest or political threats of contemporary rulers (Roesdahl 2008). Violence in the first phase, according to the few sources available, appears to be minimal (Robinson 1921). One could make an argument suggesting that the missionaries intentionally put themselves in harm’s way owing to how potent a martyr’s cult could be (Brink 2008). Certainly a number of Vikings fought against the oncoming Christian tide, but the resistance that did arise can often be attributed to the political turmoil of the time period. For instance, the bloody interactions in Norway were less about religious change and more about the loss of power during the unification process (Hollander 1964). Having raided all over Christendom, the Vikings were familiar at least with some aspects of Christianity (Melnikova 2011). Some of the original Icelandic settlers claimed to be believers (Palsson and Edwards 1972). Birka was home to a diverse community that most likely included a small collection of Christians (Sanmark 2004). The religion may not have embraced but it certainly appears to have been tolerated. Even the proclaimed pagan leader Svein Forkbeard seemed utterly indifferent to Christianity—not promoting but not fighting against it either (Derry 1979). This lack of resistance and indeed indifference makes using methods like archaeology and written sources to measure the conversion confusing and difficult. Some of the confusion can be alleviated by understanding how Scandinavia was targeted by missionaries. 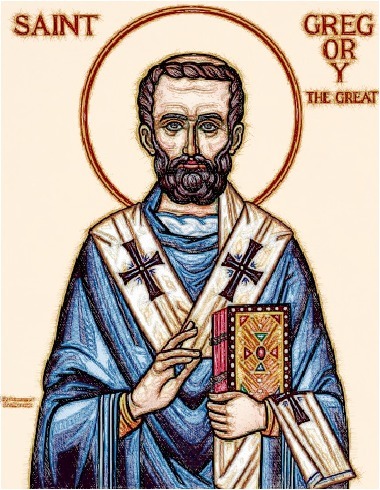 Pope Gregory had centuries ago instructed missionaries to implant Christian meanings into existing pagan religious and cultural traditions instead of eliminating them (Melnikova 2011). The Vikings may have viewed a religious conversion as a cultural defeat, but through Gregory’s method, they not only held onto their identity but also made Christianity distinctly Scandinavian (Graslund and Lager 2008). "Uh, yeah, whatever you want - just slap a cross on it and we'll make it Christian." The gap between the Norse pagan religion and Christianity may not have been as wide as once believed. In his introduction to Njal’s Saga, Robert Cook suggests that Christianity functioned not as antithetical to pagan values but as complementary (2001). Perhaps the best example comes from the Icelandic hreppr law in which the farmers, in line with Christ’s teachings, worked together to make sure none of their neighbors went hungry (Byock 2001). The meek and suffering Christ, however, would not have registered with the Vikings. They would have picked up instead on his more authoritarian traits that were more in tune with their power and honor driven culture (Melnikova 2011). In fact, Christ was often incorporated into the Norse pantheon right next to Odin and Thor (Melnikova 2011). This acceptance of Christ as a god on par with the traditional deities might have been viewed as a victory for Christian missionaries, but, with no evidence of immediate change, there were no milestones for missionaries to celebrate (Brink 2008). At this point Christianity in Scandinavia was a slow and creeping stream of muddle and mixed cultural preferences, and Christ may have been seen as little more than just another idol. This hybrid union of a chaotic paganism and the infant disorganized Christianity left Norse burials in disarray. Even before the Viking Age, burial customs in Norway were at best inconsistent (Saebjorg 2007). Inhumation and cremation graves coexisted in different parts of Norway before and during the conversion period (Saebjorg 2007). While inhumation graves in churchyards eventually won out, certain pagan burial customs continued to thrive in parts of Scandinavia well after the conversion (Shepherd 1996). Even churchyard burials cannot be trusted due to later generations re-burying their unbaptized kin, just as Harald with his father at Jelling (Roesdhal 2008). The way a body faced and the goods with which it was buried are two other ways scholars attempt to identify Christian graves (Tolochko 2011). The direction a body was buried can be misleading because many early Christian graves were positioned southwest to northeast instead of the official west to east direction. Every pagan Viking grave found at Luistari holds a body facing southwest to northeast (Shepherd 1996). With such a variety of behaviors and values present in Norse graves, many burials are left to guess work. A more dependable indication of religion in burials is the grave goods (Graham-Campbell and Batey 1998). Traditional Viking graves included tools, weapons, jewelry, and other goods for use in the afterlife (Price 2008). Christian graves included similar dress, food, and containers, but lacked those individualized items that went on to define Viking graves (Graslund 2008). The importance laid upon grave goods may be misplaced. Many Viking graves were empty, while some graves boasted signs of Christianity, as well as traditional grave goods (Shepherd 1996). Even the cross pendants found in the female graves at Birka do not hold concrete evidence that they were in fact Christ-worshippers (Graslund 2008). 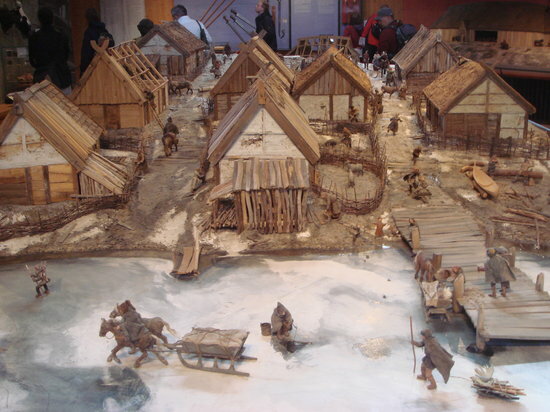 As an international trading town, Birka would have hosted travelers from every type of background (Sanmark 2004). The crosses could just as realistically been gifts from Christian pilgrims or an aesthetically appealing piece of fashion purchased from a European merchant. A more flimsy method of measuring Christian beliefs and institutions is the study of church sites, which some scholars believe to have been built upon or near former pagan worship sites (Graslund 2008). Tacitus, however, claimed that the Germanic people worshipped their gods out in the open or in sacred groves (Mattingly 1970). The lack of evidence for pagan structures, such as Adam of Bremen’s extravagant temple in Uppsala, seems to agree with Tacitus. The early church relied heavily upon urban areas the thrive (Shepherd 1996). Outside of hubs like Birka and Hedeby, towns were virtually nonexistent in Scandinavia (Skre 2008). Without the Roman governmental structure, a church would have failed in the vast rural Scandinavian communities and were therefore unlikely to have been built upon pre-existing pagan sites (Shepherd 1996). The two religions do merge, however, on coins and on rune stones. In Norway and Sweden, the earliest minted coins coincided with the rise of Christianity (Bragge and Nordeide 2004). The coins that originated from these kingdoms, as well as from Denmark, all seemed to be copied after Anglo-Saxon coins (Geltig 2004). Olaf Skotkonung, almost immediately following his conversion, began minting coins in Sweden (Sanmark 2004). Christianization would not have suddenly boosted Sweden’s economy, nor had any resemblance of an ecclesiastical system been propped up yet, so why would the king immediately begin producing coinage in a kingdom that was not fully converted or unified? Olaf’s reaction is but one of many indications that the Viking leaders were trying to take advantage of the rising power and wealth of Christianity. The mixing of both religions is most evident on rune stones, many of which can be dated to the 11th century or later (Graslund and Lager 2008). They appear to increase in number after the conversion, and many are thought to be public displays of Christian messages (Sanmark 2004). Some stones simultaneously depict biblical scenes and messages alongside mythological images (Shepherd 1996). It would appear that the carvers of the stones saw no reason for Christ and Odin not to coexist side by side. The tapestry of Skog, though not a rune stone, is another example of the two religions blending almost harmoniously (Graslund 2008). Eventually, rune stones were replaced by ink and paper, but even in the written word, measuring the degrees of belief is difficult. The written sources that describe the conversion period are few and riddled with problems. Perhaps the most famous is Adam of Bremen’s clumsy history of Angsar’s missions into Scandinavia. Aside from bungling a number of facts, Adam, like his contemporary ecclesiastical authors, buries the truth under exaggerations (Tschan 2002). Snorri Sturluson’s HeimskringlaI may be more organized than Adam’s account but it is no less problematic due to its being written centuries after the conversion period and through the lens of a Christian worldview (Hollander 1964). That is not to say that the sources cannot be useful. On the contrary, texts like the Royal Frankish Annals provide invaluable information regarding the spread of Christianity, in particular Harald Klak’s groundbreaking baptism in 826 (Scholz 1970). It is essential to read these sources carefully as they carry outsider biases, or, as what happens in most hagiographies, are written to make a certain saint look much holier in retrospect (Sanmark 2004). The laws, while a more concrete source, also survive in manuscripts that were put together centuries after they were put into effect (Geltig 2004). Christian laws, such as the banning of certain pagan practices, appear to have been implemented almost immediately following a state’s official conversion (Gronlie 2006). The earliest Christian laws started to take hold around 1020 and are concerned with practical issues that did not require a priest’s supervision, such as feast days or burying bodies in churchyards (Sanmark 2005). The Icelandic sagas are the only source that can shed light on how these laws were actually enforced, and even these are inconclusive (Miller 1990). To give better context to Scandinavia’s Christianization, Sanmark uses the conversions of Saxony, Frisia, and Anglo-Saxon England as a comparison (2004). Even though there are similarities, like the 150-year conversion time frame, it is an unfair comparison because of the political disadvantages in Scandinavia, which lay outside of the Roman periphery (Shepherd 1996). When the Roman Empire fell, Christianity stepped into the void it left behind. The church then took over the bureaucratic system the Romans had created and developed a strong ecclesiastical network that would define the Catholic Church for centuries to come. At this time to be Roman was to essentially be Christian (Read 1999). The Roman structure that was in place in Britain and Frisia made their conversions much easier—both had been part of the Roman world, and both contained towns to support ecclesiastical centers (Shepherd 1996). This may explain why the top-down conversion method worked in the fragmented Anglo-Saxon kingdoms. Saxony, on the other hand, was a forced conversion (Scholz 1970). Against its will, the kingdom was enveloped into the already established Christian Carolingian Empire who wasted no time in setting up diocese to maintain the ecclesiastical order (Roesdahl 2008). Without the Roman institution in place, the missionaries, followed by the secular rulers, had to adapt in order to Christianize. For instance, Norway and Sweden lacked sovereign kings and had yet to be unified near the end of the 10th century (Hollander 1964). Churches had become major assets to the Christian rulers of Europe, and they needed towns and cities to thrive (Downham 2012). Inspired, Scandinavian kings developed some of the first urban areas in order for Christianity to flourish (Androshchuk 2011). This may not have been unique, but the Vikings appear in many cases to have converted on their own terms. Romans were the first Christian punx. The Vikings also seemed to take Gregory’s message to heart. The Scandinavian church for centuries took on its own independent nature, especially in Greenland and Iceland (Byock 2001). The geographical isolation surely played a part in Icelandic secular laws influencing the church more effectively than the papacy (Byock 2001). In both island communities, churches were built on private land, in direct opposition of Roman tradition (Arnborg 2008). The mainland Scandinavian churches may have operated more within the European norm, but Christianity existed for many years with the Norse pagan paradigm (Graslund and Lager 2008). For instance, bishops served in the king’s royal hird, rather than in a more ecclesiastical position (Krag 2008). The lack of conformity to the global church begs the same question that inspired Melnikova’s article: just how Christian were the Vikings? The blurred lines of Scandinavia’s brand of Christianity and the lack of hard evidence of beliefs and attitudes could be the result of the opportunistic Vikings using Christianity as just another stage on which to operate. When Vladamir raided in Constantinople, he became all too aware of the benefits that accompanied monotheism (Fitzhugh and Ward 2000). Vikings were known to feign Christianity simply to trade with the Muslim Caliphate (Mikkelson 2008). The Rus likewise were baptized in order to serve the Byzantine Emperor (Tolochko 2011). The Vikings appear to be taking advantage of the benefits that Christianity presented, just as they had taken advantage of splintered kingdoms or defenseless monasteries. The benefits of inclusion came from an internal desire to convert to Christianity, not because of missionary work, but because the secular leaders acknowledged what they as individuals and their kingdoms stood to gain by joining the Christian community. Political pressure was certainly a factor, particularly in Denmark, but there is more to the conversion than external threats (Sanmark 2004). No evidence of forced baptism has been found in either Denmark or Sweden, and both kingdoms seemed to have been more than willing to allow missionaries to serve within their boundaries (Sanmark 2004). Iceland’s conversion, though tumultuous during the first phase of missionary work, came to a peaceful and pragmatic head at the Althing (Gronlie 2002). Only the Orkneys and Norway showed substantial resistance to Christianity, and in both cases wealthy earls and petty kings found their independence being wiped out by Olaf Tryggvason who was a powerful and Christian warrior (Crawford 2013). Norway, at least on the surface, seems to be the odd one out. Norway’s conversion was violent, but the reasons behind the resistance, like in the Orkney Islands, are often misinterpreted (Sanmark 2004). The Norwegian farmers were not fighting against Christ; they were fighting against tyrannical kings who were unabashedly breaking traditional laws and doing away with the local jarls (Hollander 1964). Both Olaf Tryggvason and Saint Olaf had spent time raiding in Christian kingdoms overseas and both were baptized at the courts of different Christian kings (Derry 1979). 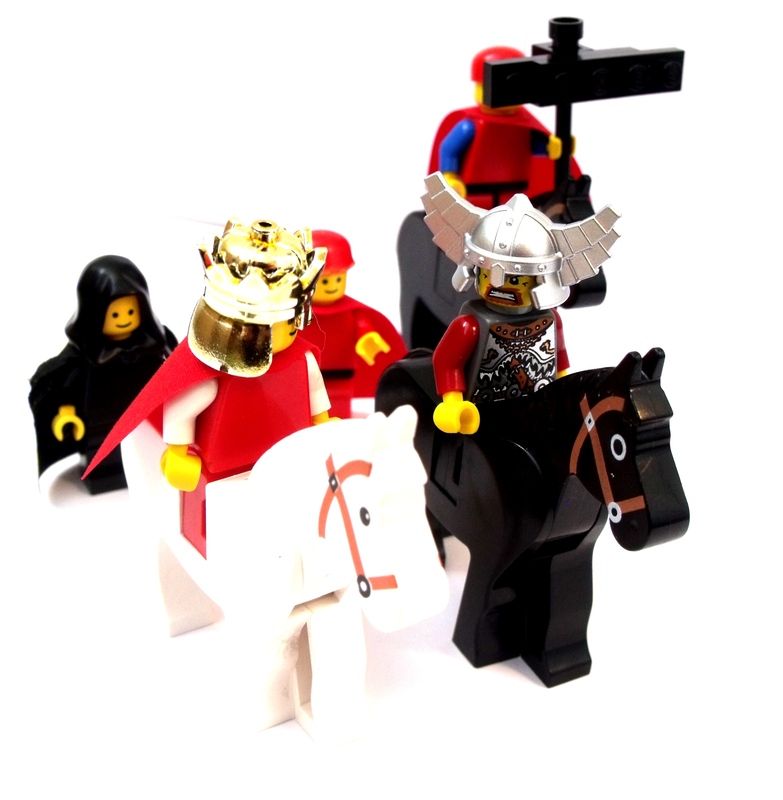 They would have seen firsthand the wealth and organization that Christianity could bring to a kingdom, not to mention how the religion could bolster and strengthen their own kingships (Somerville and McDonald 2010). The man who fully realized the potential of what Christianity could do for a Viking king was Cnut. He watched his father wring out thousands of pounds from England before eventually taking the throne himself (Lawson 2004). Cnut seemed determined to be a player on the European stage, and in order to act the part, had to fashion himself after the rulers on the continent. He brought the ecclesiastical organization from England to Denmark, attended coronations on the continent, and even made a pilgrimage to Rome (Lawson 2004). Cnut was the ultimate Viking opportunist, carrying on the spirit of the heroes before him but within a new and organized context. Could the Christianization of Scandinavia be an extension of Viking opportunism? The Rus equated serving in Christian Byzantium with a degree of wealth and prestige (Tolochko 2011). The Scandinavians modeled their coins after the Anglo-Saxon mints, impressed more by their power and wealth than any religious affiliation (Geltig 2004). The lack of opposition to the religion and what appears to be welcoming invitations to missionaries stand in stark contrast to popular depictions of Vikings (Downham 2012). The fact is that Vikings took what they could get wherever they could get it: an outpost in Greenland, a duchy in Normandy, a town in Ireland, an earldom in Orkney. Yet they also knew when to give in. When confronted by the formidable Alfred the Great, the Vikings retreated behind the Danelaw (Garmonsway 1972). The aggressive Native Americans and the intense winters of North America gave the Vikings enough trouble that they abandoned their Vinland camp (Fitzhugh and Ward 2000). With a history of preying on pressure points and striking while the iron was hot, there is no reason to think that the Vikings did not see Christianity as one last opportunity to achieve that power, prestige, and wealth they sought throughout the Viking Age. Of course, the riches that could be gained as part of a Christian kingdom outweighed what could be stolen from churches and monasteries and with much less personal risk! In fact, there is evidence that they were well aware of this fact, choosing to take part in pre-baptism rituals but refusing to be actually baptized (Sanmark 2004). By performing these rituals, Vikings, like Harald Klak, were able to leave the door to Christianity open in case they needed it (Robinson 1921). The evidence suggests that Christianity in the north was chaotic and that the Viking rulers seemed to pick and choose what religious customs they would adhere to and made them their own. If this was indeed the case, it is no wonder why measuring the Christianization of Scandinavia is so ineffectual. Because of the geography, the lack of towns, and the lack of Roman institutions, the first phase of the conversion was not seen as all that successful (Sanmark 2004). Angsar and Rimbert had to lower their expectations and just try to convey the essentials of Christ as a god rather than embark on any theology (Melnikova 2011). Some Vikings took these teachings gladly and incorporated them into their own existing beliefs. Ambitious contenders dominated the second phase of the conversion, whose goals were not to convert for the sake of Christ but for their own political ends, which culminated in King Cnut shamelessly advertising his desire to be on the same level as his European contemporaries. There can be no doubt that Christianity’s movement throughout Scandinavia can be marked and followed, but the evidence tells us very little about common attitudes and behaviors. The Vikings were aware of Christianity and its beliefs, but how much this actually affected the lives of those brilliant opportunists is impossible to tell.